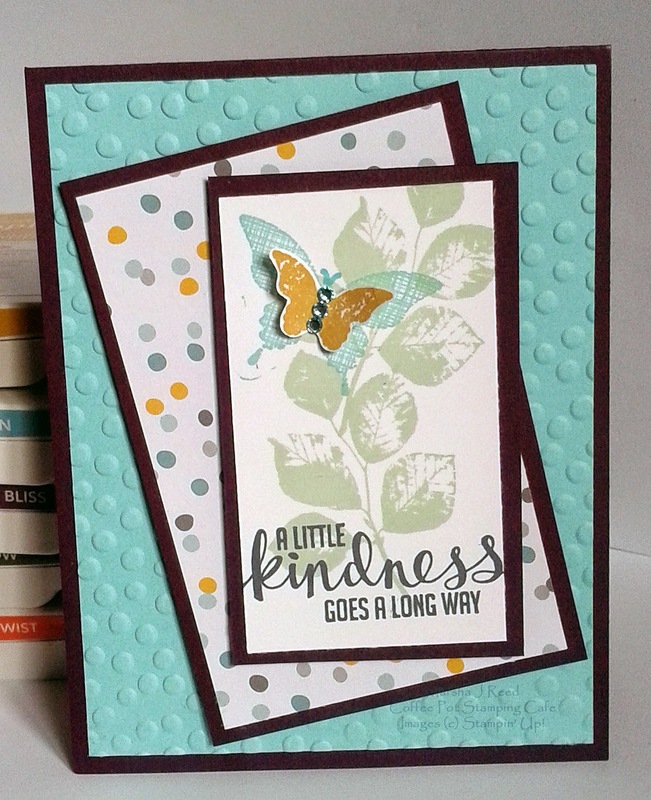 Okay, I got a little dotty with my card but I do so love polka dots. Our challenge this time was to CASE (Copy And Share Everything) a fellow member of the Watercooler. I chose Heidi Weaver's card because I love that Kinda Eclectic stamp set. I used mostly the same colors but for my background I used Blackberry Bliss instead of Basic Black. My little butterfly is different in that it is Hello Honey instead of the Crisp Cantaloupe Heidi used and my rhinestones are colored using the Coastal Cabana Blendabilities. I pulled Hello Honey from the Moonlight Designer Series Paper Stack. Here is the card Heidi Weaver made. 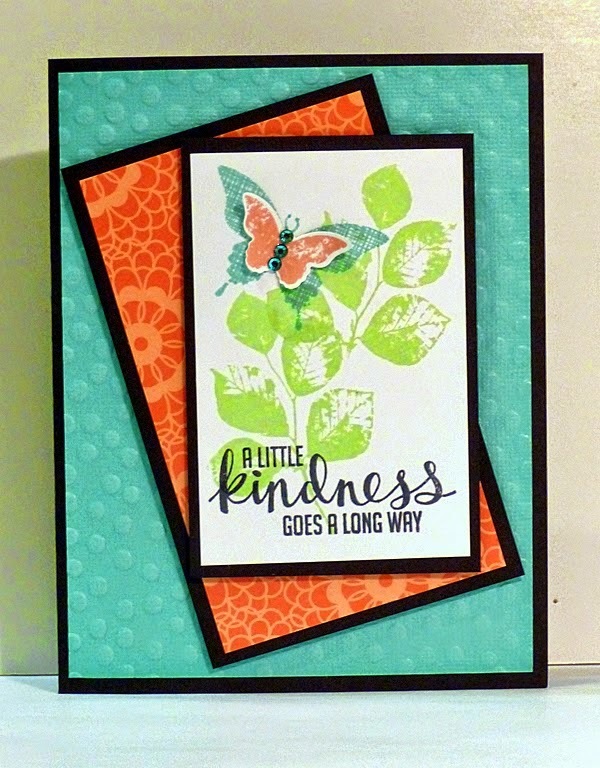 Marsha, thank you so much for joining us as a core member for the watercooler challenge blog! I love your version of Heidi's card (and of course I love Heidi's version too!) I am definitely ordering that stamp set and I will have to CASE these cards also!! A little imperfection is no problem at all... it shows that we are all human and not perfect, but the card still looks great even with a little imperfection. Thank you for sharing and being a part of the challenge!! What a nice compliment, Marsha. I love being CASEd. :) And with such a beautiful interpretation of my card, too. Your colours give it a totally different expression. TFS.